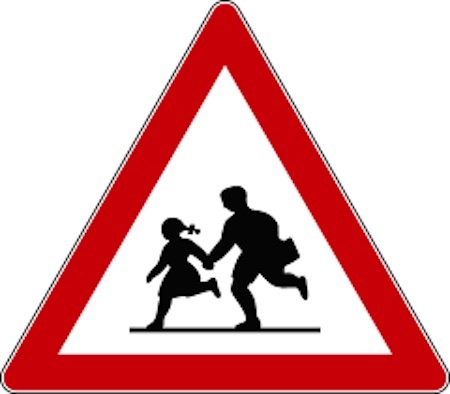 The kid thought that he had to do something, because he had noticed that the cars did not use to respect the zebra crossing nor the speed limits. Toto had a brilliant idea, he proposed to his teacher to make a road safety education week at school. He knew that the plan he had designed was going to work, and so, the inhabitants in town would be more safe walking around. Each child had to choose a traffic sign and learn its meaning; then had to explain them at home so their parents helped them and learnt the lesson at the same time. The last day of the week, the children got dressed up as a traffic sign, and walked all around the village teaching the meaning of the traffic signs and how important is to respect them to make the streets more safe. The village was really surprised and happy for Toto´s idea. The inhabitants of the village remembered that lesson every time they drove a car, and always respected the traffic signs, and the local government put the traffic signs that were missing.